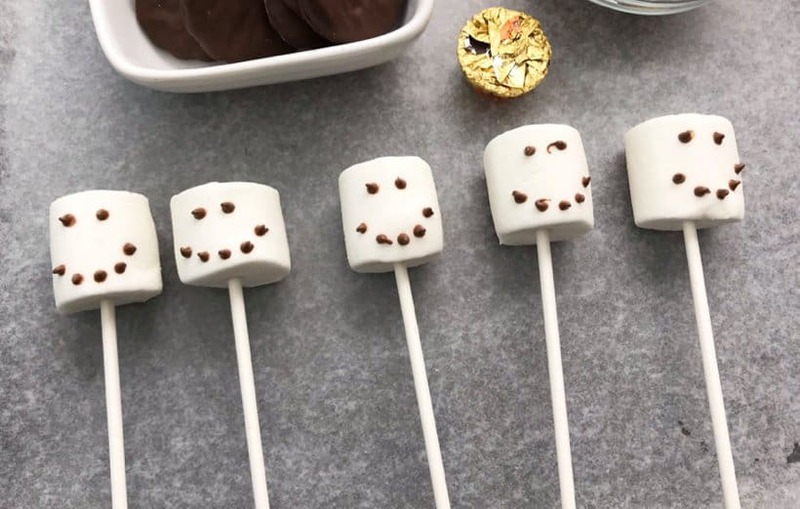 Insert one large marshmallow onto the end of each lollipop stick. 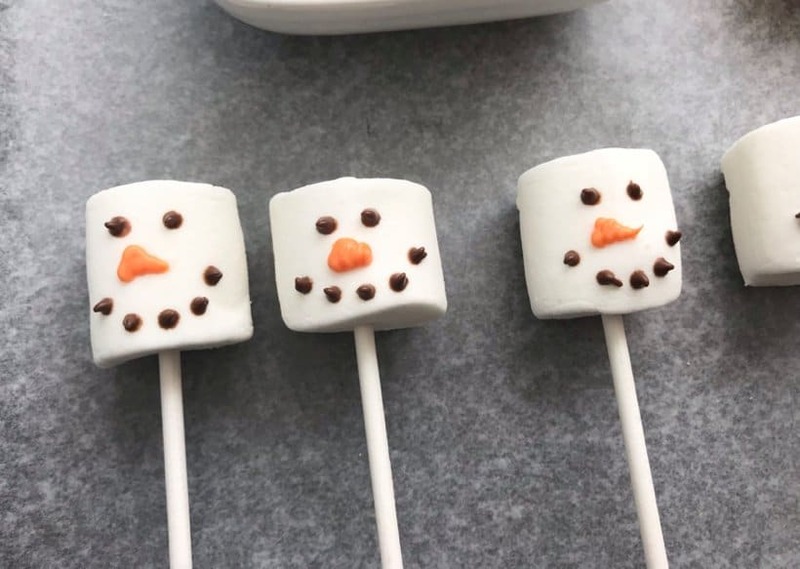 Gently squeeze the chocolate from the bag giving the snowman two eyes and 5 small dots for a mouth. Add a small a handful of orange candy melts to a microwave safe dish and heat in 30 second increments, stirring until melted. Attach the 2nd frosting tip and scoop the melted orange chocolate into the disposable piping bag. 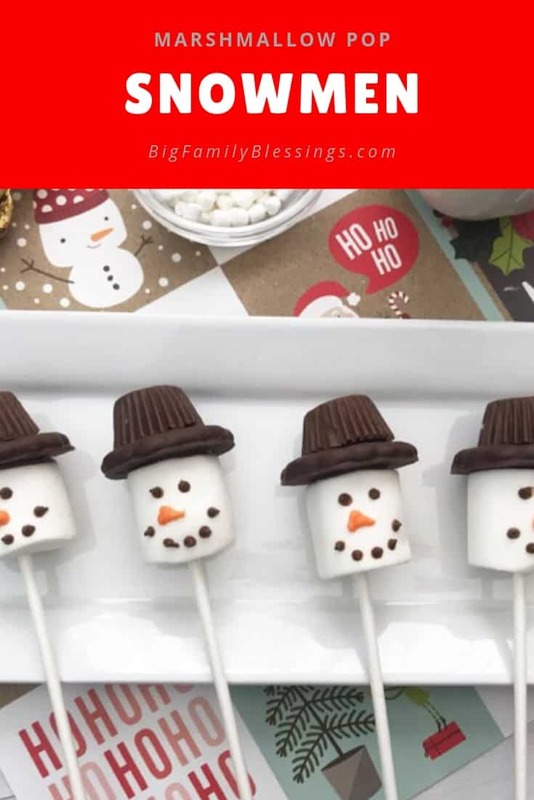 Gently squeeze the orange chocolate from the bag to form the snowman’s nose. 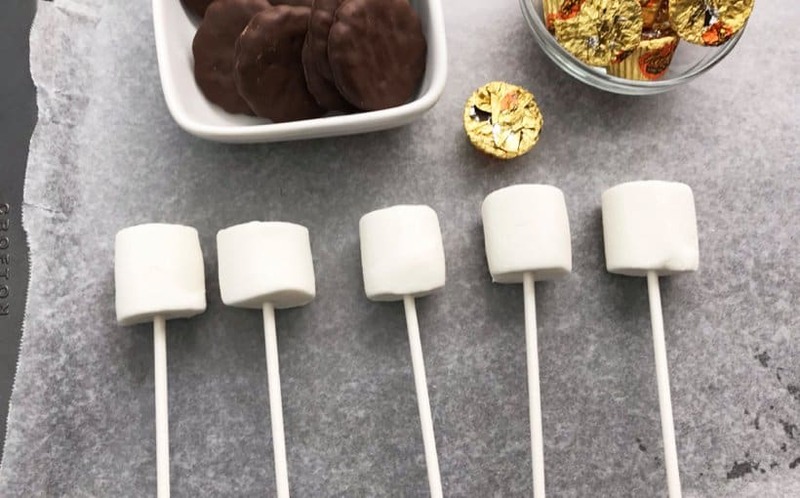 Squeeze a small amount of chocolate to the bottom of a Grasshopper cookie and place on the snowman. I stood them up, upside down until the chocolate had set. 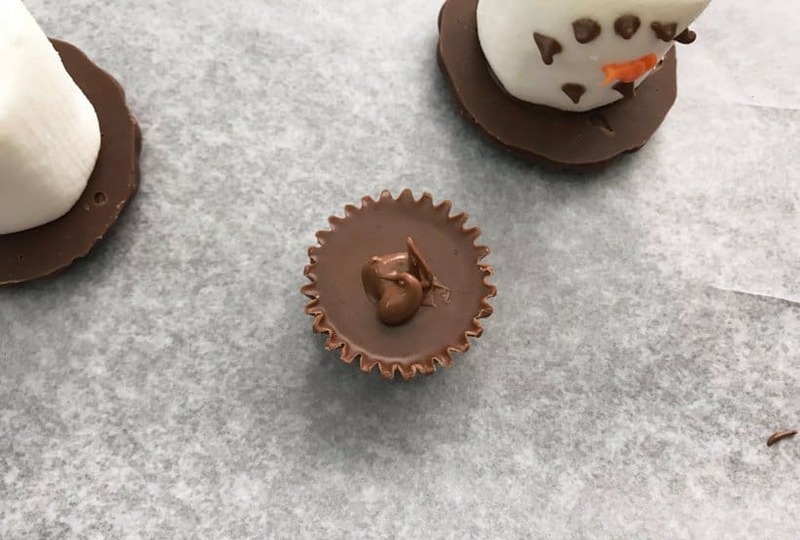 Place a small amount of melted chocolate on the top of the mini Reese’s Peanut Butter Cup. 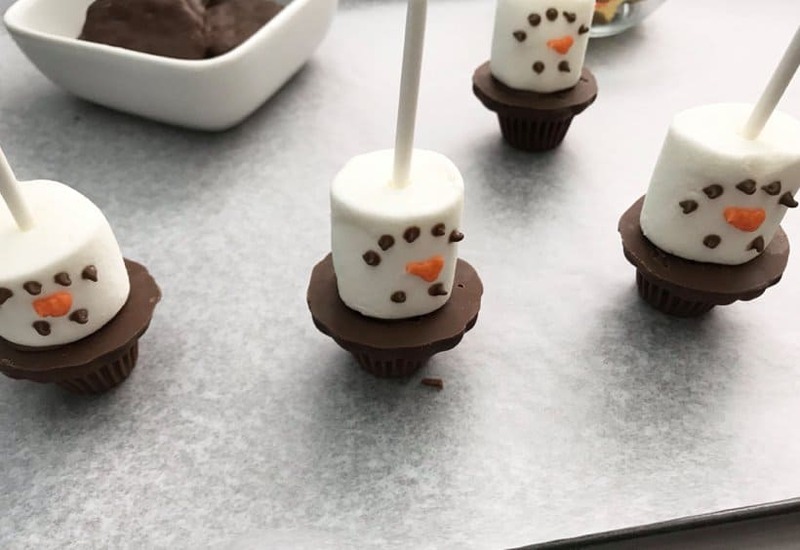 Then place the peanut butter cup on top of the snowman. Again, I let them stand upside down to set. They are absolutely adorable aren’t they? 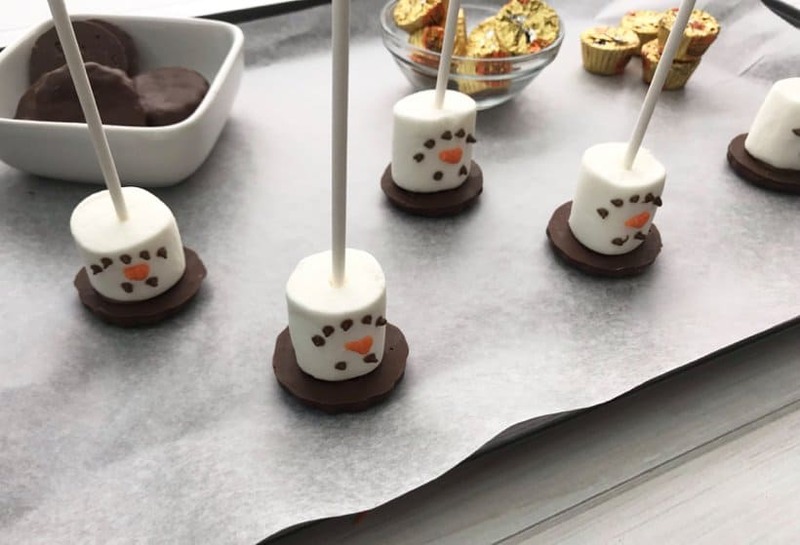 The perfect addition to a cup of hot chocolate during this arctic blast weather!